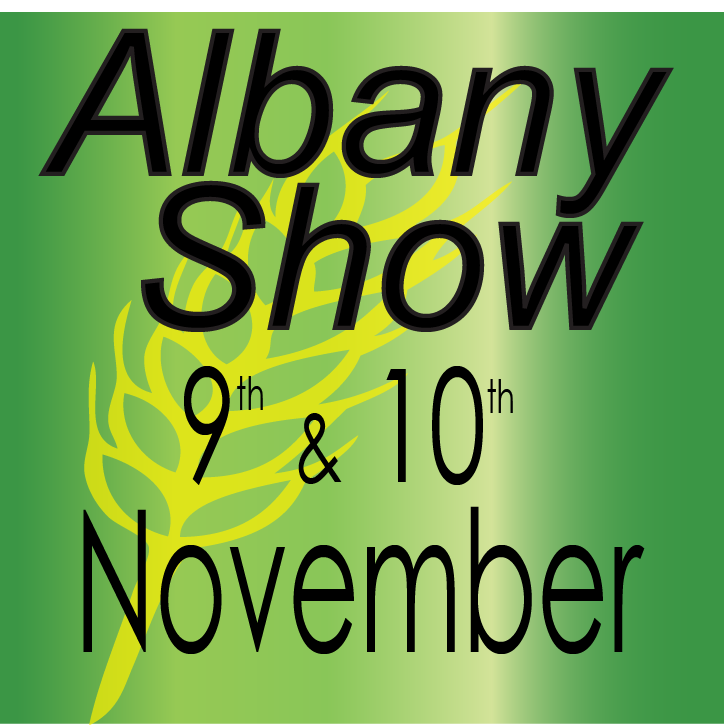 TWO Days of fun-filled Entertainment in the Albany CBD. From Alpacas and Cattle to Stunt Bike Riding, AG SHOW ROUNDUP - kids trail, Ute Muster and Fireworks. See you there!!! 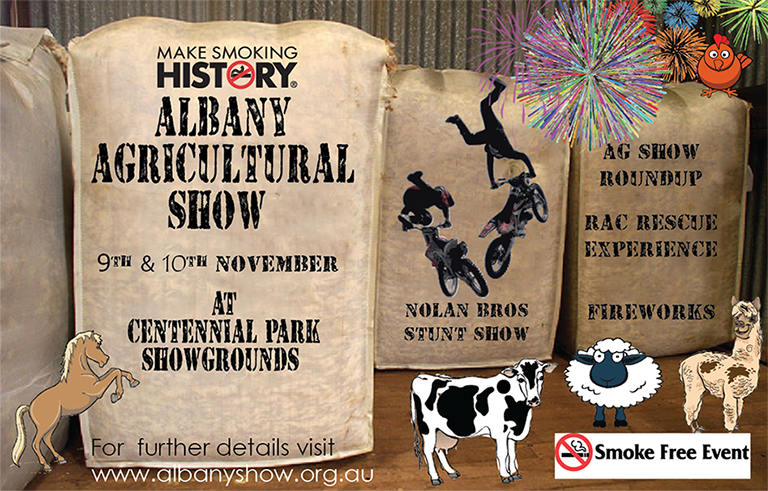 The Make Smoking History Albany Agricultural Show is a smoke-free event. No smoking is allowed on the Showground or immediately outside any gates. Areas have been set aside for smokers. Please ask ushers or security staff for designated areas. The Show supports the use of the Companion Card by offering free entry to carers upon presentation of a valid card. When with the care recipient, present it to gate staff for entry to the Showground. There is a St John Ambulance First Aid Post on Site. Pre-paid parking is available from the Stadium carpark off Lockyer Avenue. 'On Day Parking' is available at Railways Football Club (Cost is $5 per entry). Save $$$ at pre-pay. Click for more here info. 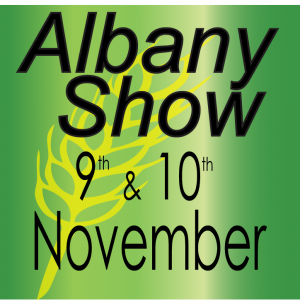 © 2019 Ticketbooth on behalf of Albany Agricultural Society Inc.. All sales are final. Tickets are non-refundable.